This topic has 17 replies, 12 voices, and was last updated 7 years ago by racefaceec90. He used to lodge with a mate’s nan, in Bradford. Gave her some sketches once, in lieu of rent. I’m from Driffield, the capital of the Wolds, and although I rarely get back I passed through today on my way home. The sun was out, there was no wind, and I was reminded just how lovely much of that part of the country is. A friend of mine used to live next door to David Hockney in Brid, but never knew who he was…..
the camera thing was interesting, but that’s about it. can’t think it’s worth going to see. didn’t like his iPad daubings at all either. 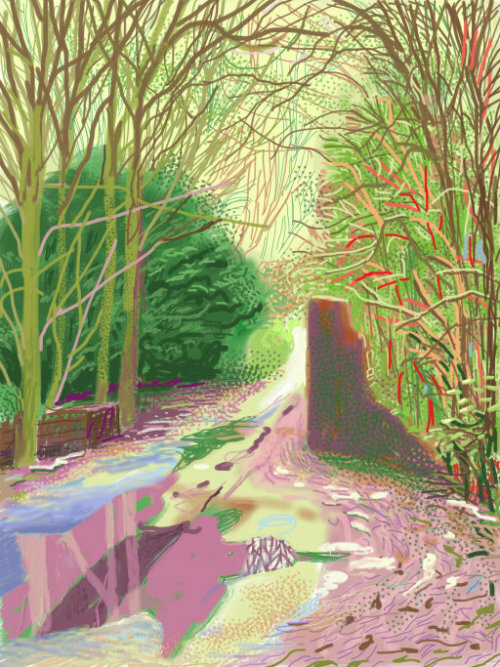 hockney’s a bit hit and miss for me, although I do like his landscapes more than his other works. I just watched it. Fantastic, that film is just awesome. I’ve seen some of his big paintings at the RA Summer Exhibition, but I’m going to make an extra special effort to go and see this exhibition. Looking forward to seeing his iPad works; I’ve heard about them, he’s been using Brushes on the iPhone since it came out, and immediately grabbed the iPad and started using that when it was introduced, so I’m fascinated to see large works created on it. 21 January – 9 April at the RA. Advance booking highly recommended. Yeah, his work can be a bit hit and miss with me too and the iPad results didn’t really do it for me either. What did grab me though was the way he so matter of factly explained what he sees that so many people don’t even register. It’s there in front of our eyes, changing every minute. Brakes, art is a subjective thing; I have no time for Tracy Emmin, but plenty of people do. The pictures hanging down the corridors outside the arts class at high school were better. I’ve got an early Hockney print hung in my bedroom, from 30 years ago. is it worth anything? Art is a subjective thing… That is so true CountZero and thank goodness for that! I missed that but do have tickets for the RA later on this month. rare for me to be so organised. that’s what’s so great about it. you get what you want out of it. If yer quick,and can get your hands on this weeks Radio Times,there is a great article on Hockney linked to his new work and if you send your name and address off to the BBC they’ll send you 4 very nice postcards by DH.I sent off Tuesday 5th and got my cards on Saturday morning and very nice they are too!. Even as a huge fan I agree Hockney is a bit hit and miss at times, but I love his landscape work and wrote my dissertation on it (the bright colours etc. tend to draw people in but it’s way deeper than that – he’s really just the latest upholder of a northern European landscape tradition stretching back to Altdorfer in the 16th century). The iPad and multi-viewpoint stuff is just a continuation of his artistic concerns since the late-’70s really (I remember him doing a vaguely prime-time BBC programme in the early/mid ’80s (?) using the Quantel Paintbox and he’s been doing still photographic ‘joiners’ for ages). Once you understand his art is actually about looking rather than painting & drawing (even right back to his early stuff) it starts to make a whole lot more sense. Must try and get some tickets for the RA thing. Anyone who thinks they could pick up a brush/pencil/ipad and paint the above has not got a clue. Such a good artist and I’m glad he’s alive to see people enjoy it. 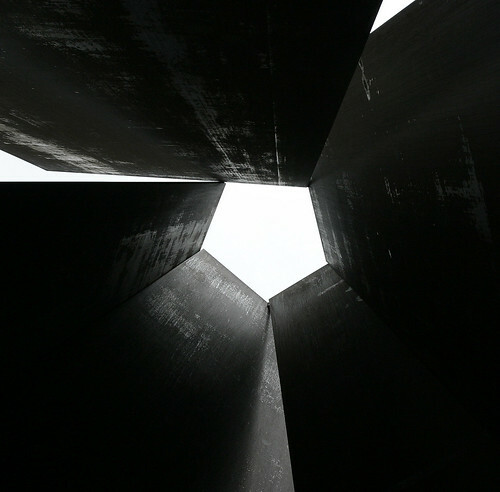 I really like the sculptor Richard Serra if you can see his work in person it is well worth it. I’ve read you mention him before I think Tails, and there’s a few of his pieces here in That London. 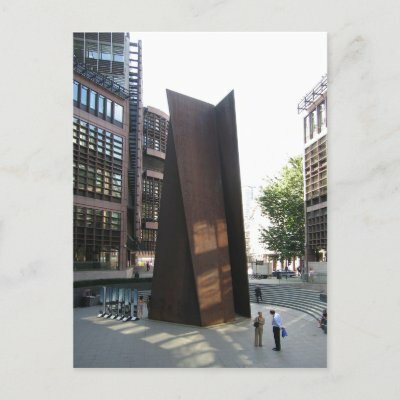 Always liked ‘Fulcrum’ by Liverpool St Station, before I knew anything about him. Love the way you can get ‘into’ his sculptures, and are dwarfed by them. i saw the program.i was blown away by both his ipad pictures and especially the 9/18 😯 screen video images.the guy is definitely a gifted artist.i would love to go see that installation but cannot unfortunately. The topic ‘David Hockney on Countryfile’ is closed to new replies.